Although it is more industrialized than many countries in the Balkans and southeastern Europe, Croatia has roughly 250,000 residents who rely on agriculture for their livelihoods. 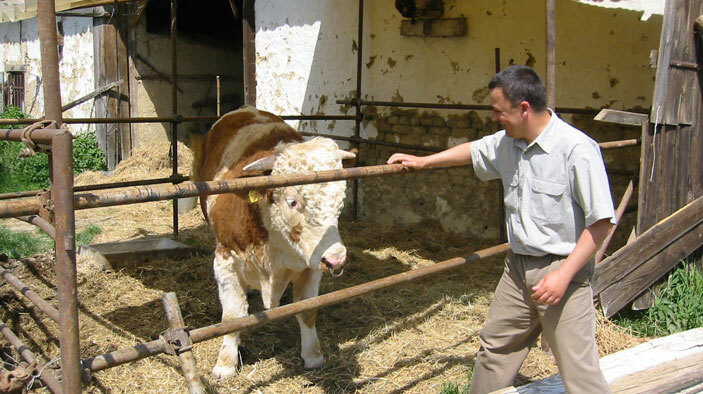 With the primary goals of raising rural living standards and fostering sustainable agricultural production, ACE worked out of regional offices in Zagreb, Eastern Slavonia, and Dalmatia to reach farmers nationwide. By developing effective support systems for producers and strengthening the linkages between producers and agricultural markets, the project enabled agribusiness enterprises to determine and meet market demand by producing more profitable goods. DAI worked on developing market linkages between producers, traders, processors, and tourism-related enterprises and on developing credit resources for short- and medium-term needs. These efforts required the development of small and medium-sized enterprises, including farmer cooperatives, to serve as producer counterparts to traders, processors, and tourist industry personnel. In addition, the DAI team directly assisted farmers to improve production efficiency and worked to identify and secure new sources of credit for rural producers. Improve access to credit for agricultural producers. Strengthen the linkages between producers and agricultural markets. Develop market linkages between producers, traders, processors, and tourism-related enterprises. Assist farmers to improve efficiency. As a result of work with dairy producers, 3 new producer organizations were created and 10 reinforced; 3,500 milk producers were linked with 4 major processors and 6 small processors (all 10 processors receiving higher quality and quantity of raw milk); technical assistance was provided to 28 partners representing 4,300 dairy producers; and annual milk production increased an average of 35 percent. Annual fruit and vegetable production increased an average of 25 percent and buy-off has exceeded project target indicators; products from these producers are now marketable across Europe; and 1,500 fruit and vegetable growers are now associated with 28 marketing support organizations and currently supplying all major retailers and the largest processors in Croatia. Nearly 130 grants totaling $1.3 million were disbursed. All grants were cost sharing, with the recipient providing a minimum of 50 percent of the funds. Grants were used to introduce new technology to improve production and stimulate adoption of new practices to improve quality.